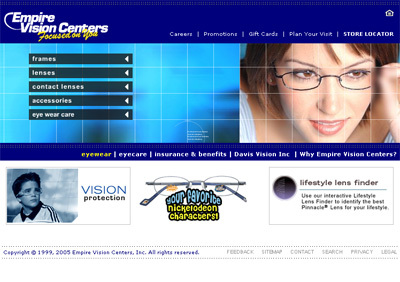 When Flash ruled the web, Aurora DVD (now Aurora Studios) hired Optay Studios to create site elements for Empire Vision Centers. Optay Studios built the main site navigation using Flash and created animated title cards with logos of featured product lines. 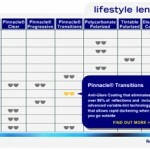 Two Flash mini-apps were featured on the site. 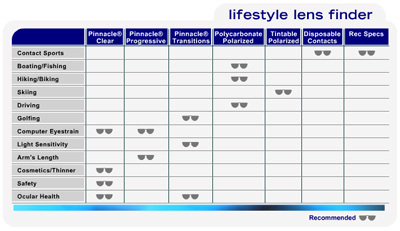 The “Lifestyle Lens Finder” recommended eyeglass lenses for different uses. 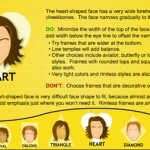 The “Frame Styling” tool recommended frames to complement the shape of your face. 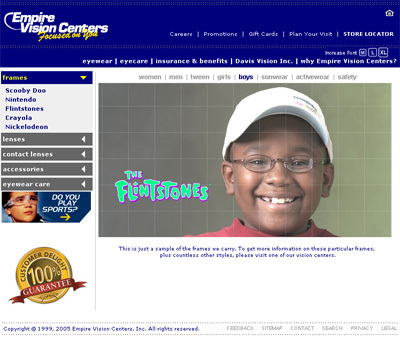 This site is no longer available in the wild. 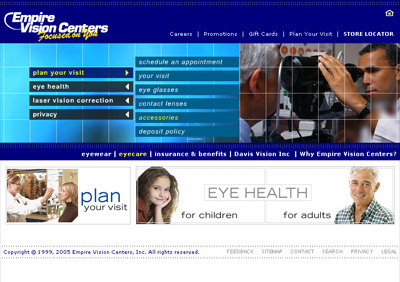 The home page with all menus closed. 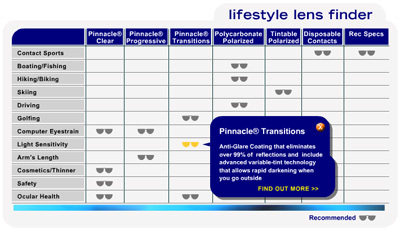 One of the animated title cards produced for the site. 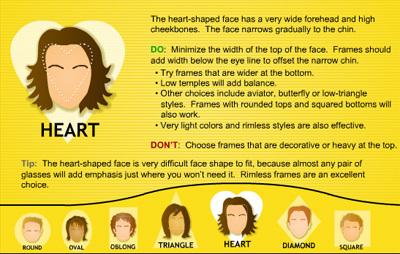 The “Frame Styling” tool showing recommendations for heart-shaped faces. 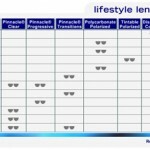 The “Lifestyle Lens Finder” with an item selected.